There is definately a nip of Autumn in the air , I'm not bothered , at least we know how to dress for autumn . The summer has been a no go so I'm not going to be missing that . Plenty in the garden that needs attention but I'm not rushing out to do that either ,it will be better to wait until the frost has decimated a few plants . I shall just sit oblivious to it all and get on with my crochet and sewing . 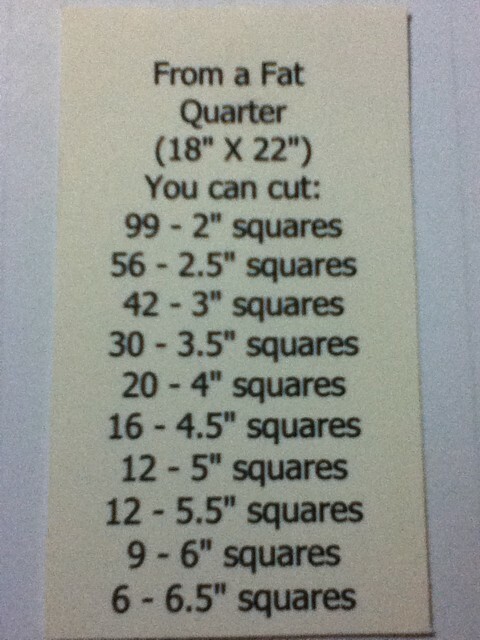 I found this very useful information on Pinterest and think it is worth printing and hanging near your cutting table . Bye for now , off for my eleven o' clock coffee . 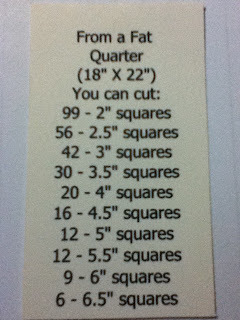 and you can also get six 7" squares [or four 7½", 8", 8½" or 9" squares] too ! !